We know what you're thinking: "That is awesome... what is it?" This is an Arduino shield with pogo pin connectors for each and every GPIO. It's essentially the same rig we use to develop and test shields here at SparkFun! 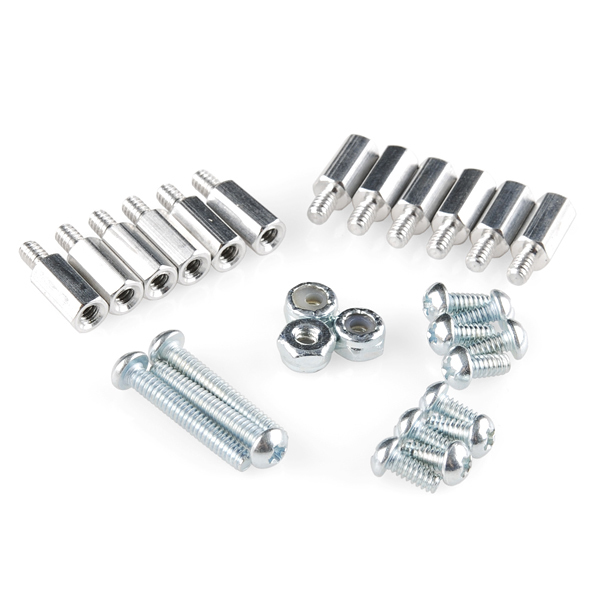 The pogo pins allow you to connect an Arduino shield to the dev board without having to make any solder connections: simply connect the Pogobed Shield to your Arduino, place the test shield on the pins and twist the tabs to lock in the flavor. 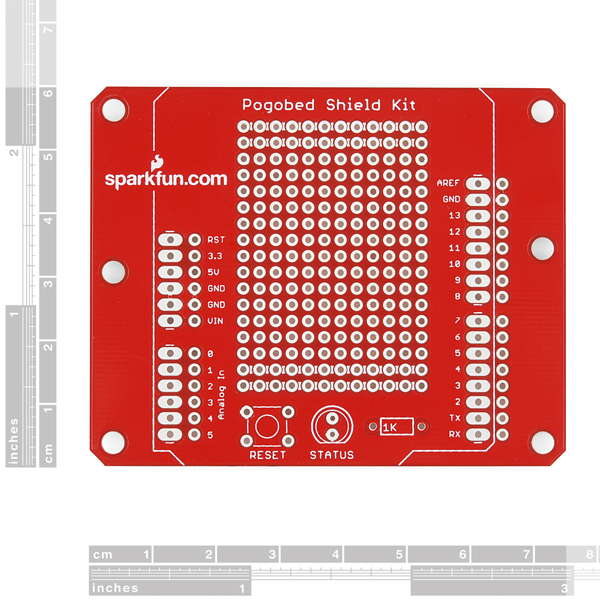 This Pogobed Kit is especially useful for anyone who is developing or testing Arduino shields but it has plenty of other uses as well. Prototyping without having to solder to a shield is really handy and if you have one Arduino that just sits on your bench as a development platform, these pogo pins will wear out a lot less often than the female headers. 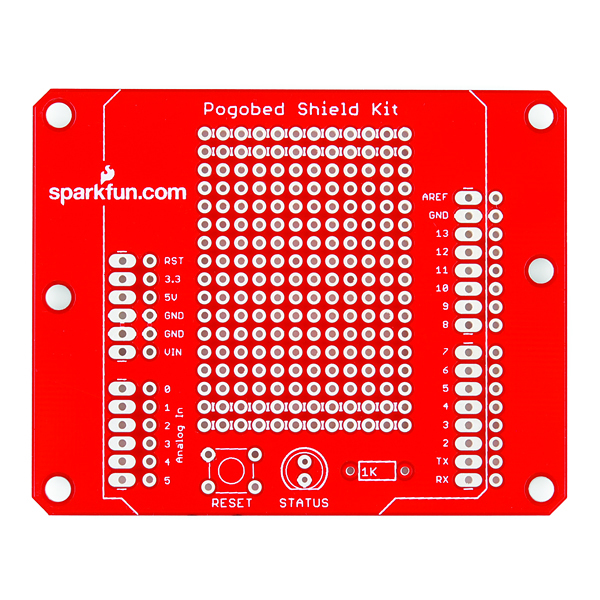 The Pogobed Shield also breaks out the reset button and status LED from the Arduino so you can still access them when there's a shield on the jig. 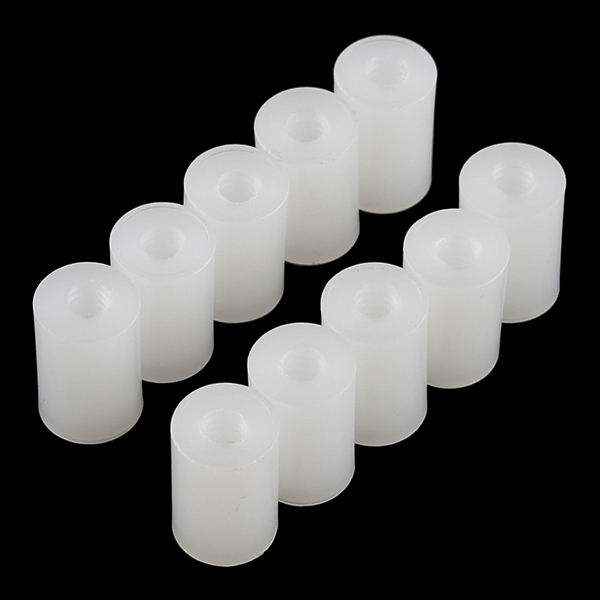 There's some prototyping space as well, which will come in handy if you plan to use this as a test-jig. The Pogobed comes as a kit so there is some assembly required. Would love to see some pictures of it in use. Of course, you can get a pretty good idea by clicking on the link "How We Use Pogobeds" above. A company named Merifix (www.merifix.com) makes an excellent test fixture system based on pogopins. They even drill the test bed for you with your coordinates where you can preview and print it out to make sure everything lines up. The quality and thought that went into their system is top notch. For the next rev of this board, could you also provide pogo pins for the ICSP header? If you look at any of the recent shields (ones designed for the 1.0 pinout) from the Arduino team, they seem to be promoting the use of the ICSP header as the generic location for SPI communication. This makes sense so if designing a shield that uses SPI it could work without modification on at least the UNO, Leonardo (where SPI is only on the ICSP), and Mega. I've added this into a revision note for when we update this! Just put mine together. It's a really cool thing. But you know what? 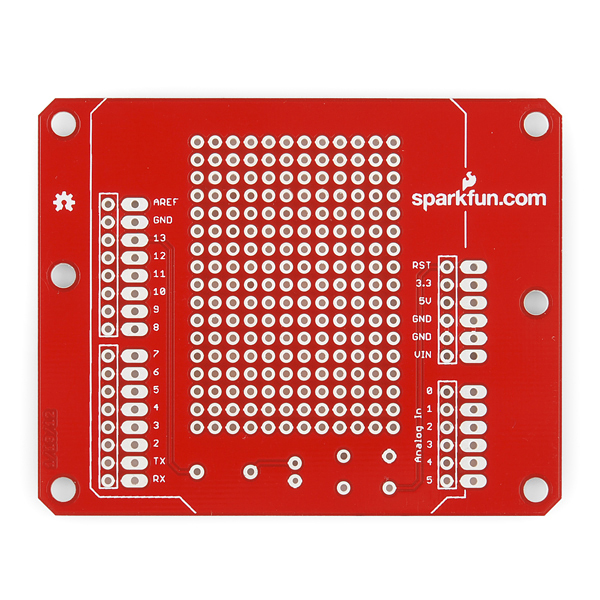 Sparkfun's Protoshield doesn't fit because of that Bluesmirf connector. And Seeedstudio's Protoshield is too wide & too long. Look's like Adafruit's Protoshield is a winner tho. 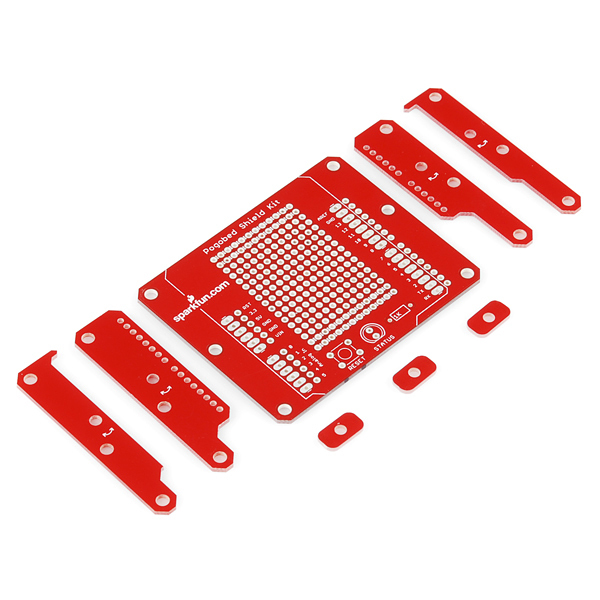 Any chance at getting one of these for the Arduino Pro? Could really use it, especially for the FTDI connection. 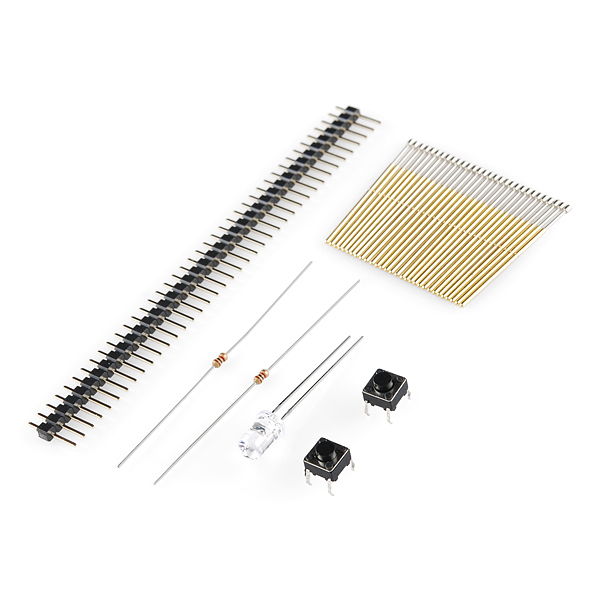 The kit actually works with any Arduino main board, such as an UNO, Duemilanove, or an Arduino Pro. Basically anything with the standard shield pinout. The pogobed just plugs in like any shield would normally. 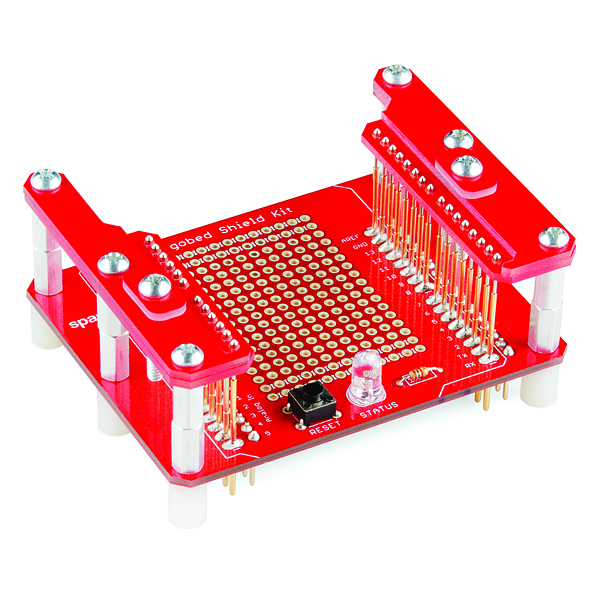 This way it can be used with just about any Arduino you may have. 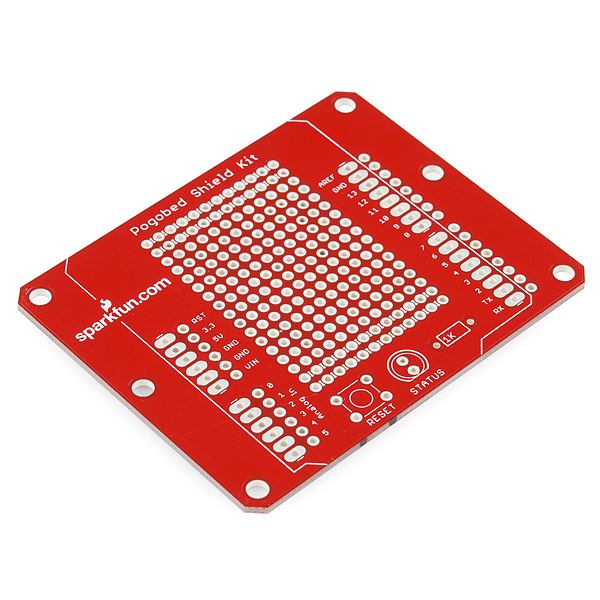 My personal choice though would be www.sparkfun.com/products/10915, the standard Pro 5V. Very handy and very small form factor. ooooh, interesting idea. We'll definitely look into that. Thanks!